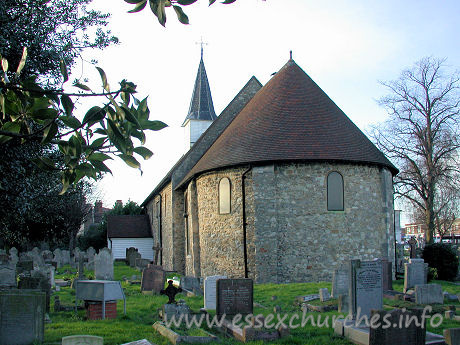 This largely unaltered Norman church sits amidst a constant swathe of traffic upon the busy A13 London-Southend main road. The church and grounds actually form an island between the east and westbound carriageways. The church is likely to have been built during the reign of King Stephen, 1135-54. Although some parts of it have been restored, it remains as good an example of a complete small Norman church as any in England. The church was built around 100 years before nearby Hadleigh castle, and the thickness of the walls suggest that in addition to its religious purposes, it was also built with defence in mind.